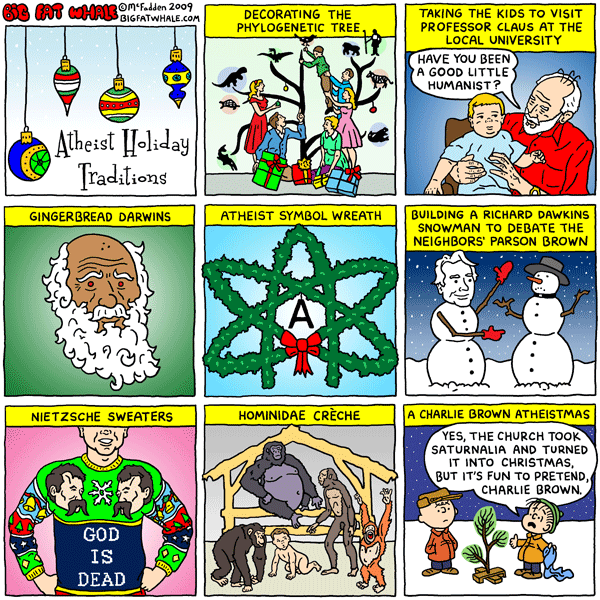 What’s Your Favorite Atheist Holiday Tradition? After two heavy days of IC Pianogate, I can’t think of anything better to get us back on track than some Atheist Holiday Traditions, courtesy of Big Fat Whale (hat tip Friendly Atheist). There are 1 Comments to "What’s Your Favorite Atheist Holiday Tradition?"